After eight more years of the Obama open border – catch and release policies it is safe to say that number likely rose by another 5-10 million. 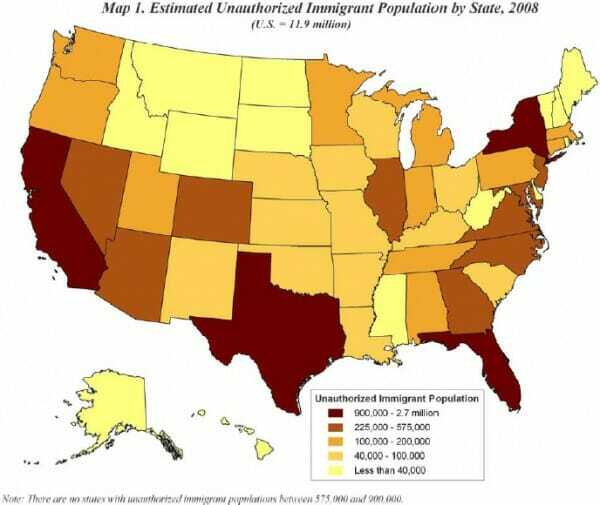 What many Americans don’t realize is that the US census counts these illegals aliens when they decide apportionment of federal funds and representation in Congress. So California, the state with the most illegal aliens, receives up to 5 more congressional seats thanks to illegal aliens.